One thing you need to know about Skopelos holidays is that the local chefs are not afraid to combine tradition to new trends. 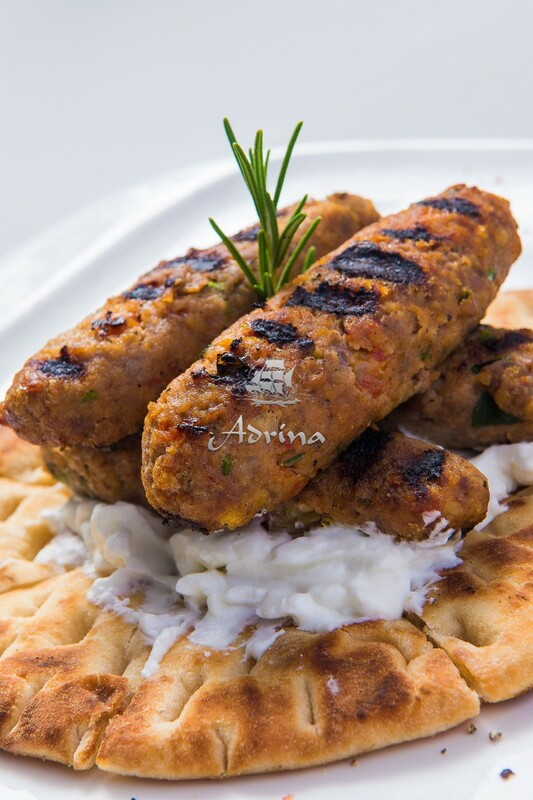 Beef kebab is a new entry in the local menus and you may find it in many different versions. Our approach is to offer a nutritious, delicious and super refreshing recipe that will take you by surprise and will definitely be one of your top ten food choices during the summer. Read below the steps we make in order to make our Beef Kebab –a must-taste for Skopelos holidays! We mix together the beef minced meat, one onion, egg white, salt and pepper in a large bowl, and leave it for a few minutes to allow the flavors to blend. To make the kebabs we take small amounts of the above mix and shape them into sausage shapes. We put the kebabs on the grill for about 7 minutes each side. While waiting for the kebabs to be cooked, we prepare our famous tomatoe marmalade by mixing tomatoes, salt, pepper, sugar and vinegar in a bowl. At the same time, in another bowl we mix yoghurt, mascarpone, black sugar, fresh thyme, olive oil and a bit of lemon juice. When the kebabs are ready, we put them on the plate, sour them with our delicious tomatoe marmalade mix and put a good portion of the yoghurt mix on the side. The dish is ready for you to taste! Enjoy a truly magnificent recipe today and discover your new favourite meal during your Skopelos holidays!